Free expression, transparent information, and trustworthy and reliable elections are the hallmark of a decent democracy. And although the open and available nature of the Internet is democratizing, it is also easily manipulated in the service of inaccuracies, fake news, and inaccurately represented information. Russia’s full-on assault on American media and democracy is designed to weaken democratic processes and sow confusion. They have engaged in a sophisticated campaign designed to influence the operation and political processes of not only the United States but the Ukraine, the Netherlands, and Western Europe. Their goal is to shake the confidence of democratic institutions, exaggerate differences and divisions amongst groups, and use new technology to underscore a Russian frame and perspective. This is a form of asymmetric warfare organized around weaker states using their available resources to combat stronger states. Theoretically anyway, it is the same principle as a less powerful ethnic group (e.g. Palestinians, Tamil, Rohingyas, Basques) using terrorist and guerrilla warfare techniques to combat a dominating ethnic group. The United States must now consider these threats as typical and persistent threats to its political existence. And, it is only a matter of time before other countries adopt these techniques and deploy them against other states. Russia boldly used proxies to set up phony webpages, Facebook accounts, and Twitter messages designed to influence the public discourse surrounding the election between Trump and Hillary Clinton as well as social issues. The perpetrators of these phony web accounts met with little resistance and had their faith in their own hacking skills reinforced. The Russians would find a division in society and then try to exaggerate it for their own purposes. Such instability is very debilitating and contributes to what is most damaging which is a loss of confidence in the electoral process. Few things are more damaging to a democratic system than a widespread belief by participants that elections are not fair. Of course, the Russian goals were not to facilitate rigorous debate but to challenge confidence and maintain social strife. They had ability to manipulate voting patterns and electoral results. The cybersphere is a perfect environment to operate an anonymous and clandestine project such as this one. Even if they fail to achieve desired results they can still do damage to the confidence and institutions as well as spread distrust and cynicism. First, the electoral process must be reviewed for security breach possibilities with checks and double checks that contain a complete review of the electoral process including access to machines, software, and computer security. 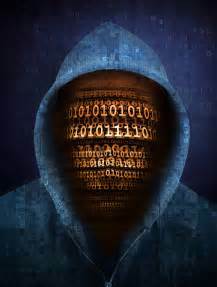 This might include the use of paper ballots along with computers to ensure material backup systems. Second, there needs to be more transparency with respect to funding elections and the nature and integrity of businesses hired to provide electoral services including machines and software. Third, the tracking of foreign actors and their involvement in US companies should include more monitoring and oversight. This might include attention to various “media buys” and who is supporting them along with an examination of rules and regulations governing foreign control and ownership with respect to financial limitations and elections. During this election, more than any other, trying to get some facts right is difficult. The below is from ProCon.org a nonpartisan educational organization, that helps everyone to make informed decisions regardless of how or for whom you vote. The degradation of the political process, the volume of ignorance floating around, polarization, and the incivility and impertinence of the candidates is of historic proportions. Most of us never imagined Trump as a Republican candidate and we certainly didn’t imagine the debates – which were supposed to be an informed and intelligent portrayal of the candidates – as a showcase for marital and sexual indiscretions paraded in front of the opponent and the world. So, I offer the below as the clearest and most objective side-by-side comparison of the candidates and their stance on issues. You may have made up your mind already but at least check your thinking against the information presented. 2. 2016 Presidential Election Candidate Quiz – Find Your Match! 3. Should Abortion Be Legal? 5. Should Felons Who Have Completed Their Sentence (Incarceration, Probation, and Parole) Be Allowed to Vote? 8. Should More Gun Control Laws Be Enacted? 11. Should the Government Allow Immigrants Who Are Here Illegally to Become US Citizens? 14. Should Marijuana Be a Medical Option? 17. Should the Federal Minimum Wage Be Increased? Most pundits figured if Trump could tie his shoes then he would have the most to gain from the debate. He really did have a lot to gain by appearing presidential and in control but the issue is of course whether or not he actually maintained any sense of presidential decorum. He didn’t. Presidential debates are mostly spectacle and this one was no different. Sure, Hillary won especially if you keep score according to a debate coach’s tally sheet of arguments and counter arguments. Presidential debates such as these are not interested in who comes up with a better argument but rather who can make the other look bad. But the public anticipates debates with a certain amount of enthusiasm. It’s a contest between democracy’s formidable gladiators; there is an underdog challenger doing battle with a superior opponent and we talk about debates with all the war metaphors we can muster. There are “attacks,” and “aggression,” along with “victors and the vanquished.” We would be better off viewing the debates as platforms to make judgments about individuals leading to a decision about which candidate is best. The “winner-loser” frame extends the war metaphor but also causes us to watch it like a horse race constantly attending to who is ahead and who is behind rather than learning something about the issues. But still, debates contribute to voter knowledge and the acquisition of information. It is true enough that journalism rarely these days considers itself to be a platform for issues and deliberative consideration. So debates have slightly appropriated this role. The debates give us an opportunity for a raw look at the candidates including how they appear on TV, how they handle themselves spontaneously, and general issues of charisma and attraction. This is an important and satisfying counterpoint to political ads which are strategically constructed and designed to be manipulative and the voters know it. It is quite easy to dismiss candidate commercials but less so for debates because of their increased perception of authenticity. So what did we see the other night and how does it fit in with some of the research on debates? 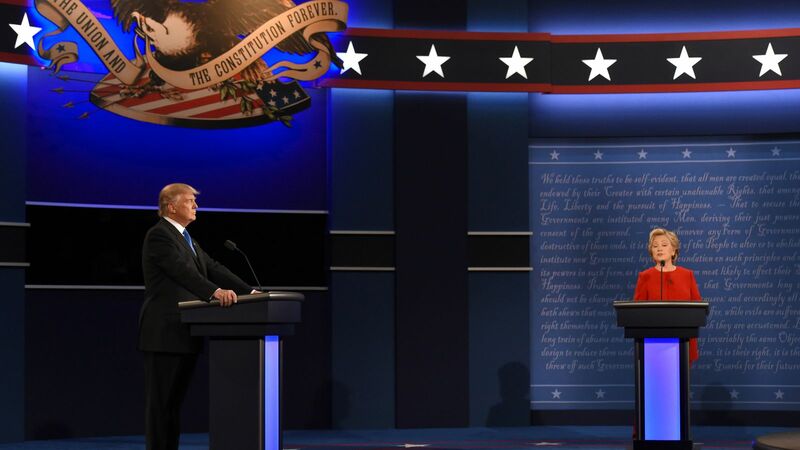 Even though debates are known to reinforce partisan preferences, the first Clinton-Trump debate transcended that conclusion because Hillary sliced and diced Trump. She set traps (the coming Miss Universe interview), behaved more politely, had very few fact checking problems, appeared composed and in control, unhinged him a few times as was the debate plan, and spent more time on policy. 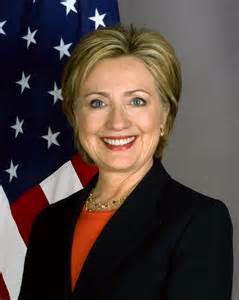 Dorothy Rabinowitz – of the conservative Wall Street Journal of all places – wrote that Hillary is the only thing that stands between the United States and the “reign of the most unstable, proudly uninformed, psychologically unfit president ever to enter the White House.” Since in one study almost 30% of the viewing audience considers the presidential debates more helpful than talk shows or advertising spots, this means that a lot of people witnessed the Hillary performance in the debate. And given that the viewership was the biggest in history (over 80 million viewers) she was in a position to reintroduce herself to many people. Presidential debates also produce multiplier effects. This means that post debate citizen communication about political issues is stimulated. The debate induces communication. And this post debate communication is one way that partisan preferences are mediated. In other words, debates because of information processing and selection biases are strongly implicated in reinforcing existing partisan biases. But these effects are mediated by post debate conversation. As citizens engage others, especially if this engagement represents some sense of substantive exchange, then partisan positions are challenged. From my own experience anyway, the Clinton-Trump post debate interactions were robust. This of course has something to do with Trump’s media presence and inimitable personality along with the uniquely personal and conflict oriented nature of the campaign. Nevertheless, it prompted post debate conversation relative to the issues people are thinking about. One might continue to think, in naïve rationality, that Trump will make the necessary adjustments but it’s getting late and first debates are the most watched as the audience trails off for the next two. But we will tune in waiting for some sort of catastrophe that we can talk about after the debate. 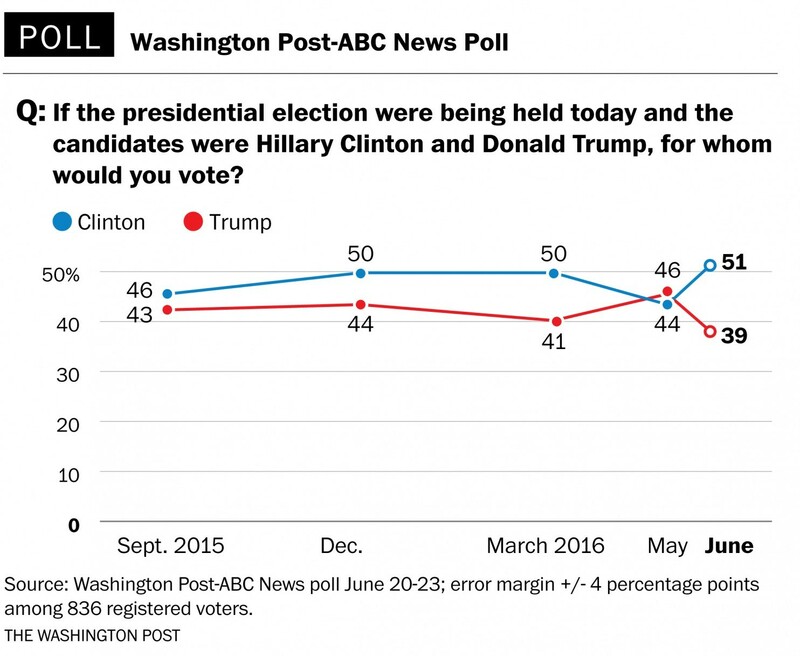 The results of the most recent Washington Post-ABC News Poll are in and the news is certainly good for Hillary. She leads Trump by double digits and he seems to be declining precipitously. In a head-to-head matchup Clinton leads Trump 51% to 39% among registered voters.The results are informative and the poll also shows some interesting data that should be useful for Hillary. 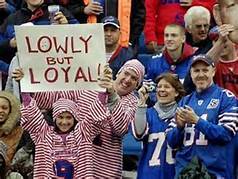 If you are a Republican hoping to defeat Hillary Clinton in the fall you must be pretty dispirited. I mean Hillary is beatable – or at least it appears she was beatable. Her high negatives coupled with all the people who dislike her for reasons justified or not seemed at one point insurmountable. But then along comes the Republican Party and they behave the way the Democrats usually do. That is, when they want to form a firing squad they get into a circle. No political party choice has been so tin-eared about the temperament and qualifications of a candidate since McCain chose Sarah Palin as his vice presidential running mate. Let’s take a closer look at the numbers and what they probably or potentially mean. The most troubling data in the survey for Hillary is the net “new direction” data which indicate that 56% of those polled would like to set the nation on a new direction. This makes it difficult for Hillary to identify herself with the President and as a candidate that will continue Obama’s policies. But on the other hand, President Obama’s approval ratings at 56% are higher than since the killing of Osama bin Laden in 2011. Obama is more popular than Bush was during the last days of his presidency. So using the President during the campaign – dependent of course on audiences and context – will generally be a safe bet for Hillary. 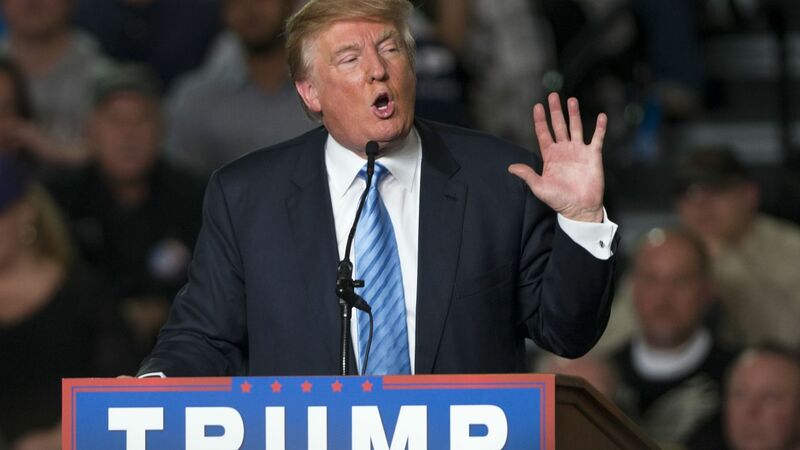 Just about two thirds of Americans think Trump is unqualified to be President. They believe his temperament is insufficiently stable and his comments about ethnic groups and women are unacceptable. It doesn’t matter if such comments are defined as racist or “politically incorrect” because his comments are considered inappropriate. The intensity of criticism for an opponent does not have to rise to racism; inappropriate is good enough. It marks the user as insensitive at best and incompetent at worst with no facility for basic civility or contextual awareness. 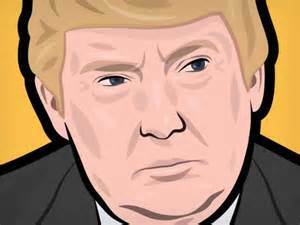 The majority of the populace considers Trump unqualified and astounding 64% do not believe he has the credentials to be President. Still, there’s a group of people who consider Trump unqualified for the job and disapprove of his comments about women, minorities, and Muslims but they plan to vote for him anyway. These are the people composed of two characteristics: extreme Obama hate which means they’ll vote for anybody who isn’t Obama or is associated politically with Obama, and those who want the country to move in a new direction. Hillary can probably safely pay little mind to one of these groups. The Obama haters are probably tinged with a little racism (at best) and it would be difficult to make progress with them. One thing that happens with strong group identification is that the social norms of that group become overly influential. If I identify as a “Democrat” then I will be more than usually influenced by how I imagine Democrats think and behave despite the merits of an issue. I will be more influenced by party membership than policy. In one research study Democrats and Republicans were given a policy statement and told that the policy was supported by either a majority of Democrats or Republicans. Subjects in the study disproportionately favored a policy when it was identified with their own political party. This means that political judgment is too influenced by group identification and not sufficiently the result of objective consideration and analysis.